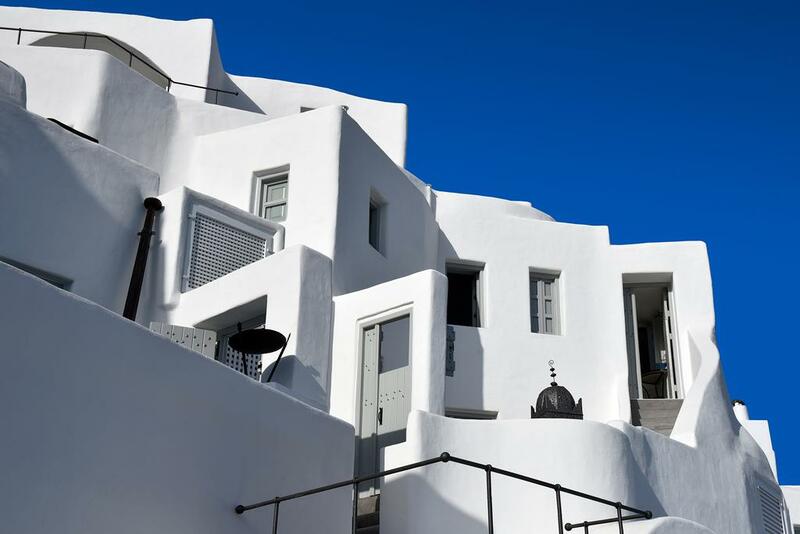 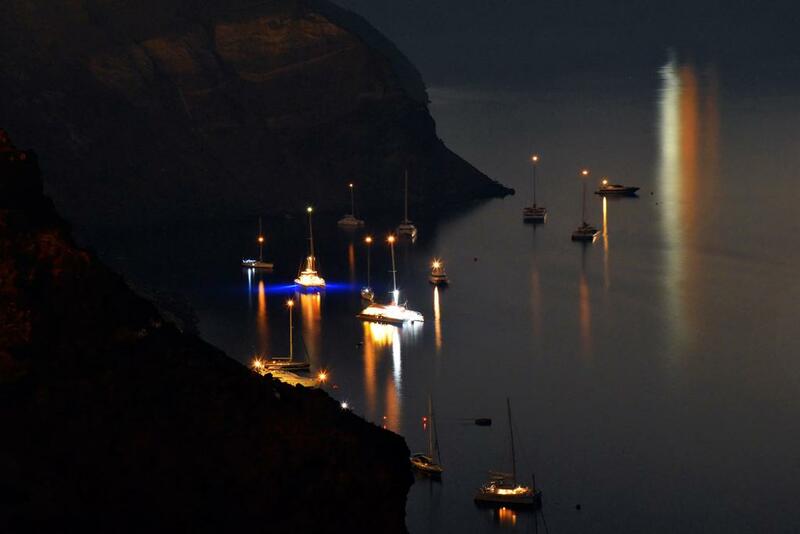 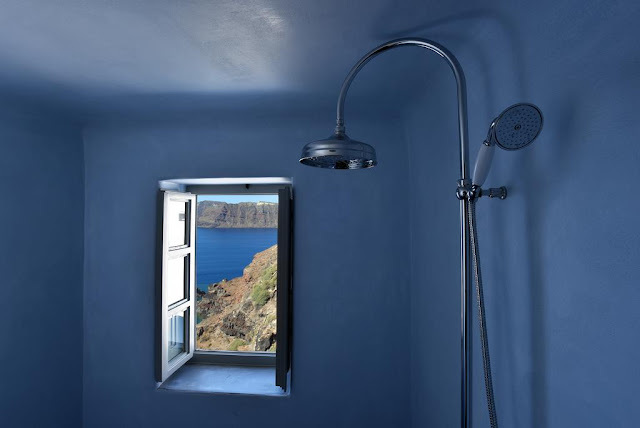 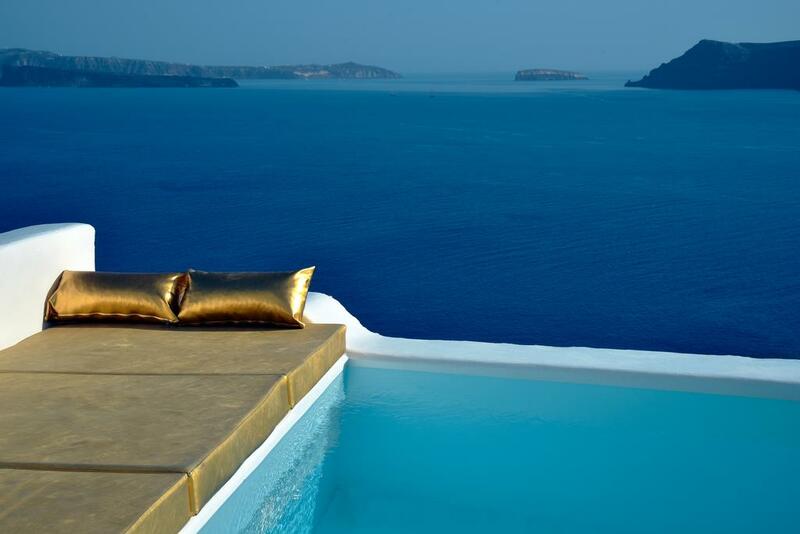 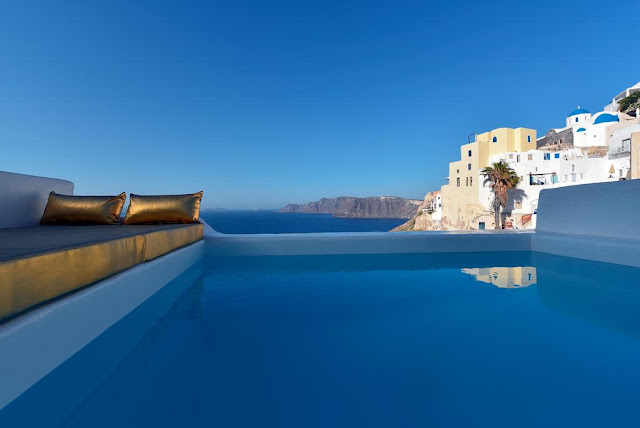 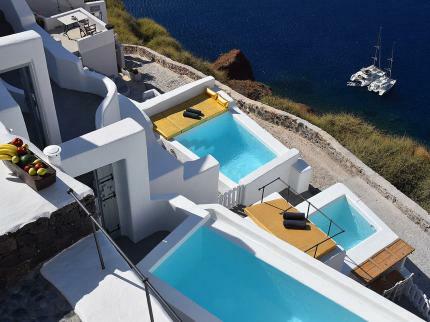 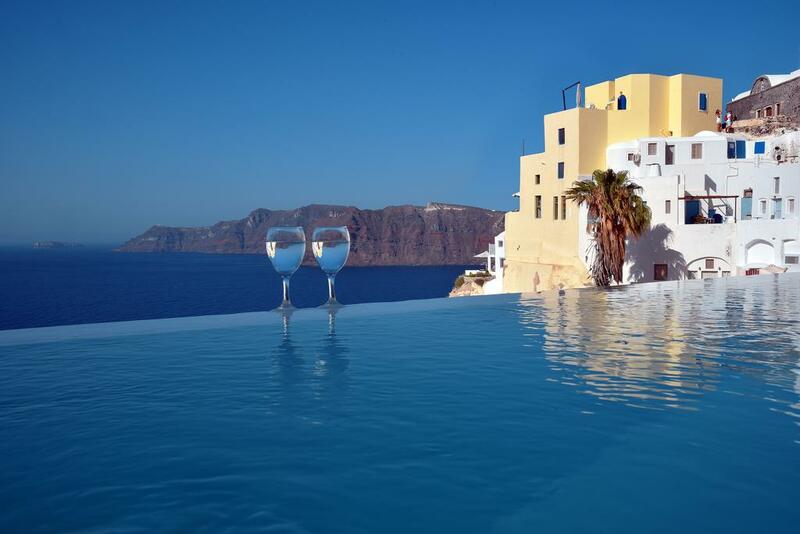 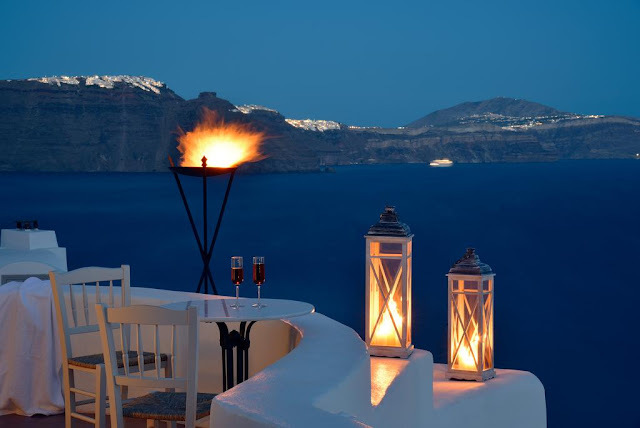 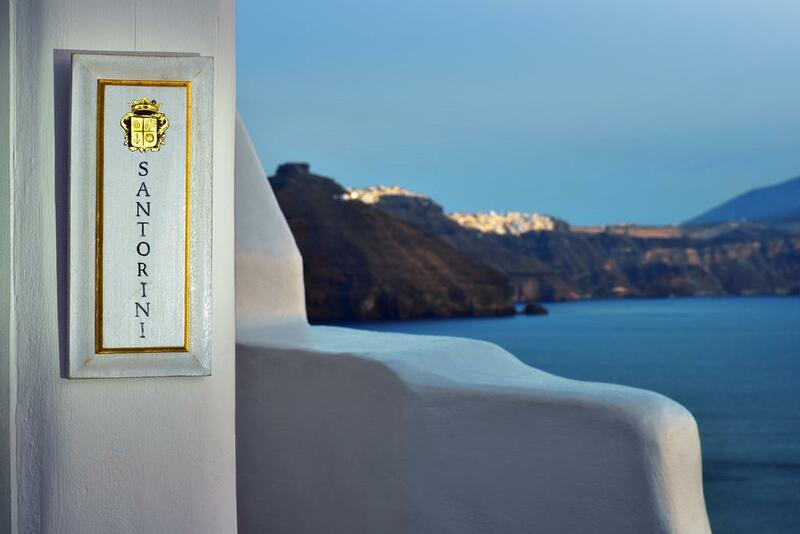 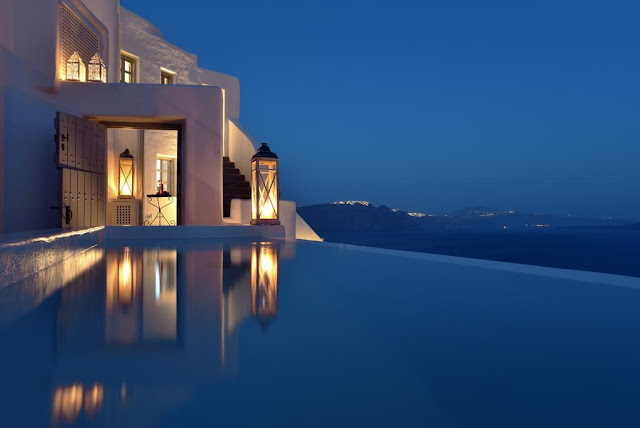 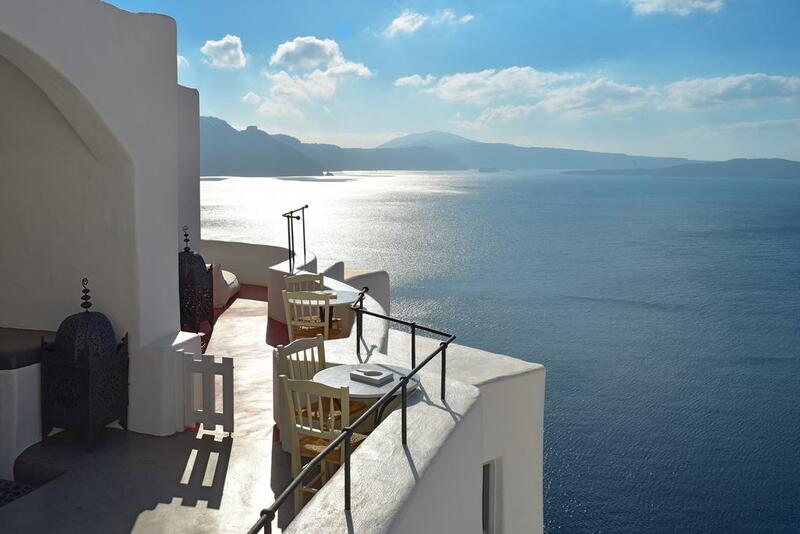 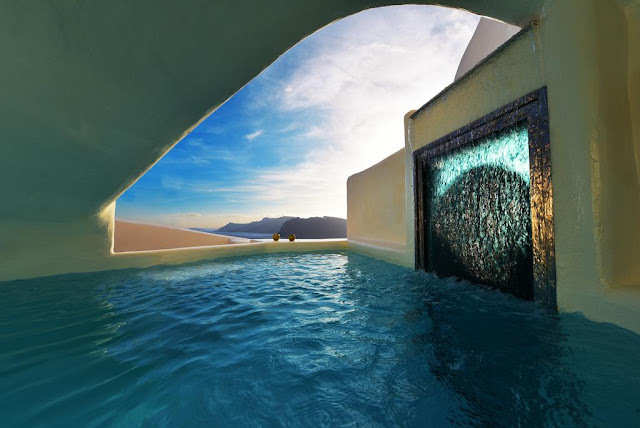 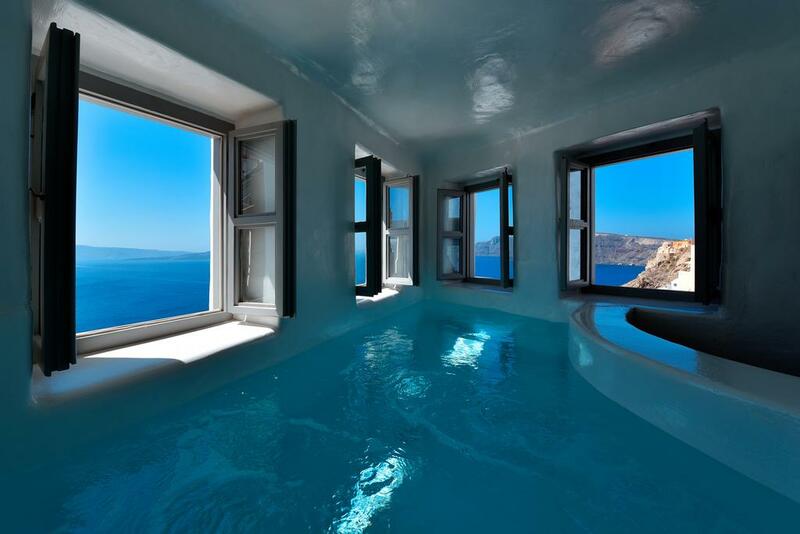 An ultra-luxe, all-suite boutique hotel in Santorini's UNESCO-listed village of Oia. 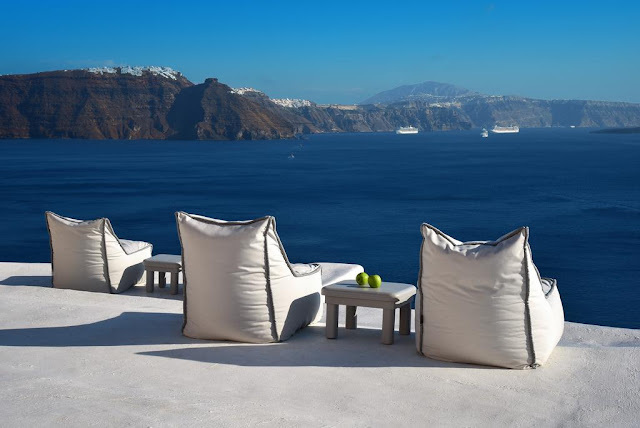 For a hip sleep with state-of-the-art design, this high-impact boutique hotel in the crescent-shaped Greek island of Santorini delivers. Set on a cliffside in the heart of Oia (pronounced ee-a), it’s become one of the town’s most buzzed-about places since opening in August 2016, mostly for its clever cave-like interiors and superior level of service. 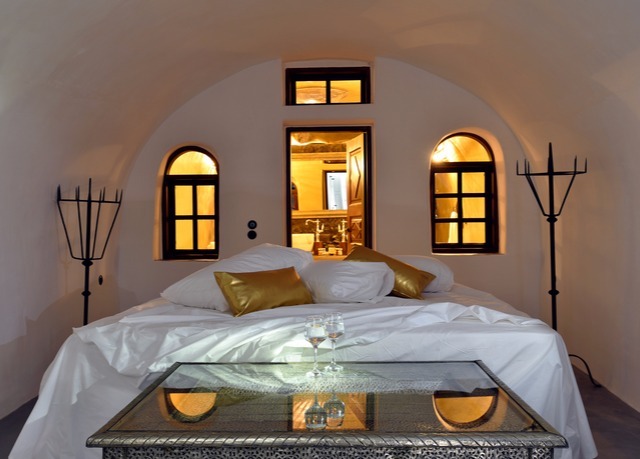 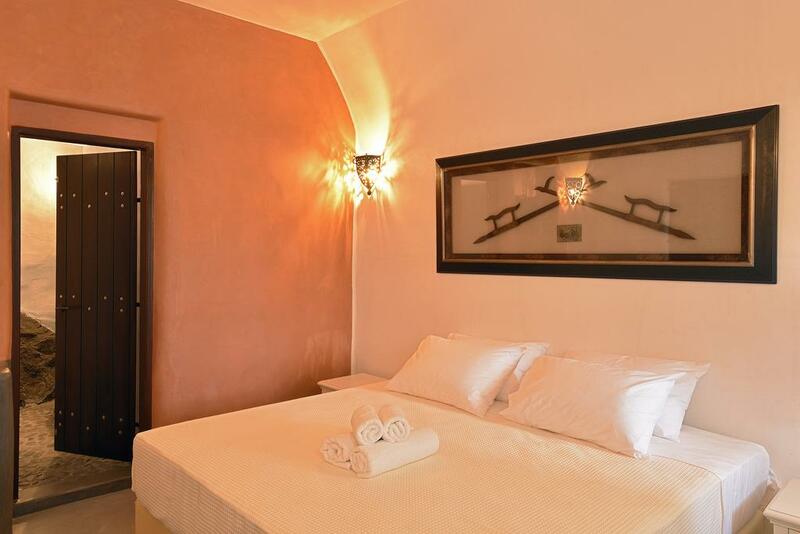 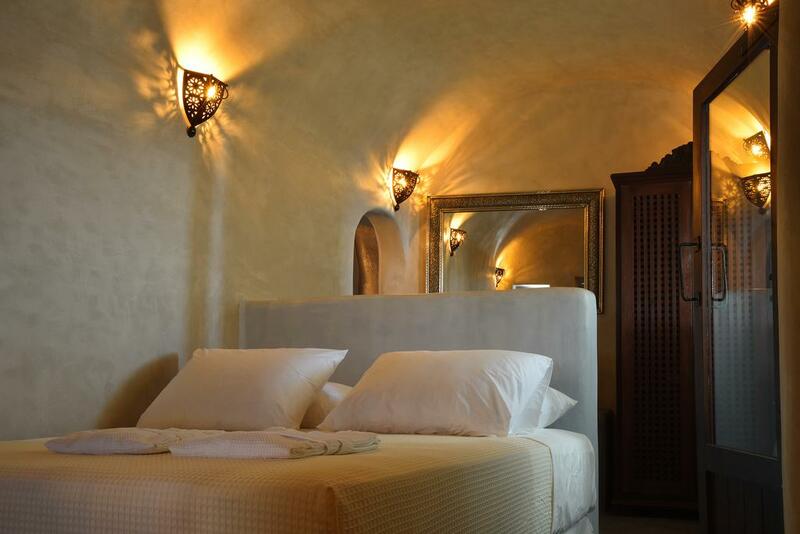 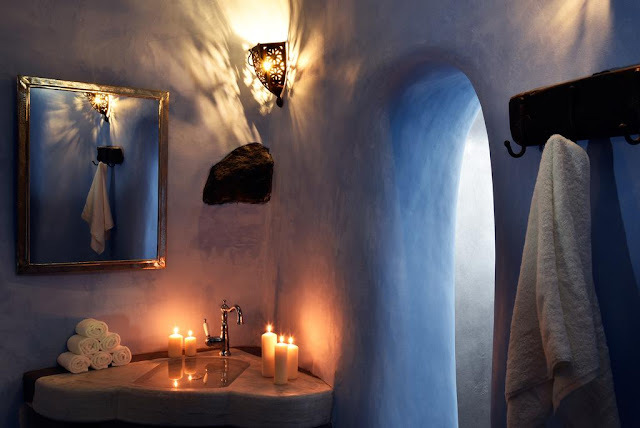 The 11 wow-factor suites created from ancient cave dwellings assure cutting-edge décor, a rather fabulous indoor or outdoor heated plunge pool, and a balcony with to-die-for views over the famous Caldera. 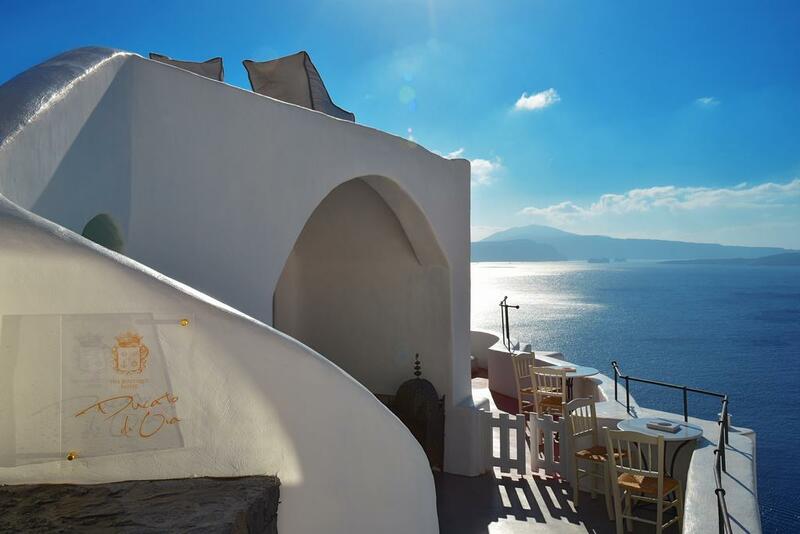 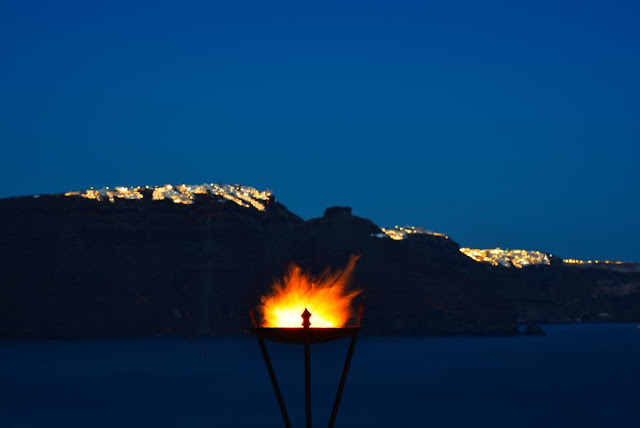 Carefree days can be spent visiting the buzzy island capital of Fira, day-tripping to the neighbouring islands, seeking out hole-in-the-wall art galleries, and marvelling at dramatic sunsets.